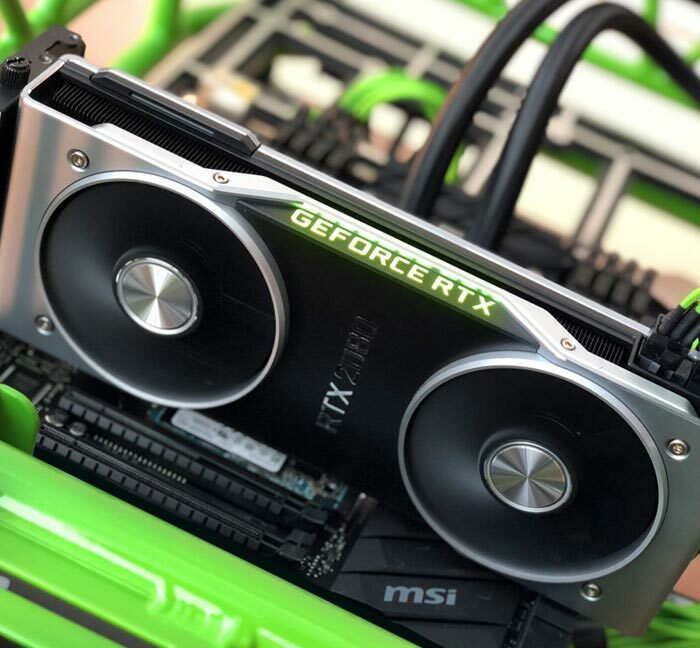 On Wednesday at 2pm BST the review embargo on the Nvidia GeForce RTX 2080 Ti and RTX 2080 graphics cards ended and the internet saw an explosion of reviews, not least our own 15-page examination of these new hopes for PC graphics enthusiasts. If you have checked over the HEXUS review, and the multitude of alternatives, then you might have seen a similar set of conclusions across the board. Our review of the new RTX 2080 Ti and RTX 2080 was upbeat and positive about the potential, like many others, and enthusiasm was only really dampened by pricing. However, pricing is a very big deal. After the tech press published their verdicts the financial press, especially those with an eye on company prospects and thus share performance, weighed in with their opinions. Unfortunately for Nvidia investors, the long awaited next gen GeForce graphics cards have fallen short of the expectations of this audience. And remember, even though Nvidia spends a lot of time droning on about AI, ML, self driving cars and other projects, its gaming business accounts for nearly 60 per cent of its revenue, at $1.8bn in its latest quarterly results (Data centre $0.76bn, Automotive $0.16bn). Morgan Stanley analyst Joseph Moore said in a note to clients on Thursday that the performance improvements in evidence, in older games, fell short of what had been hoped for. "Performance boost on older games that do not incorporate advanced features is somewhat below our initial expectations, and review recommendations are mixed given higher price points," wrote Moore. In particular the Morgan Stanley analyst reckoned the new RTX 2080 card was under par. "We are surprised that the 2080 is only slightly better than the 1080ti, which has been available for over a year and is slightly less expensive," he told investors. "With higher clock speeds, higher core count, and 40% higher memory bandwidth, we had expected a bigger boost." The impact of the above assertions, if they turn out to be correct will be "slower" adoption of Nvidia's new products and thus investors shouldn't expect "much upside" from Nvidia's all-important gaming business for the next two quarters. We would add that the surplus of older GTX 10 series GPUs won't help Nvidia's prospects either, especially if it won't implement meaningful price cuts. Despite the downbeat note from Morgan Stanley, Nvidia's shares are still a decent but unexciting prospect in the longer term. Comments such as the above from Morgan Stanley are thought to be behind Nvidia's share price falling by 2.1 per cent in the wake of the lifting of the RTX 20 Series review embargo. Lastly, perhaps Nvidia CEO Jensen Huang over promised and under delivered, as he recently claimed "Turing is the world’s first ray-tracing GPU and completes the NVIDIA RTX platform, realizing a 40-year dream of the computer graphics industry. Turing is a giant leap forward and the greatest advance for computing since we introduced CUDA over a decade ago." I hope Hexus are covered legally to make that kind of statement. Good. I hope their shares tank and their sales of the 20XX series are awful, though I doubt the latter. Horrendous price gouging. In the last few years they've pushed the cost of medium to high-end cards into a different stratosphere. I'm completely priced out. I've owned 4 graphics cards and they've all been just down from top tier at the time. I've never spent more than £220 on a card. My last purchase was 7 years ago now. There's been absolutely no value in the GPU market in at least 2-3 years. What's wrong with it? 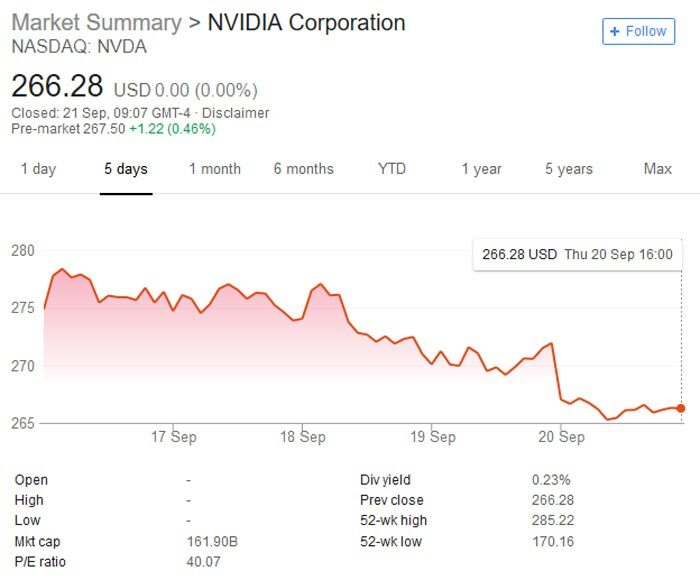 They are actually saying something positive but admittedly is laced with a realistic note due to the stability of Nvidias shares leaving little excitement if they might climb radically. Why <admin removed - language> does Hexus need any cover? You obviously haven't even read any analysts reports before insinuating far worse!